Hey guys. 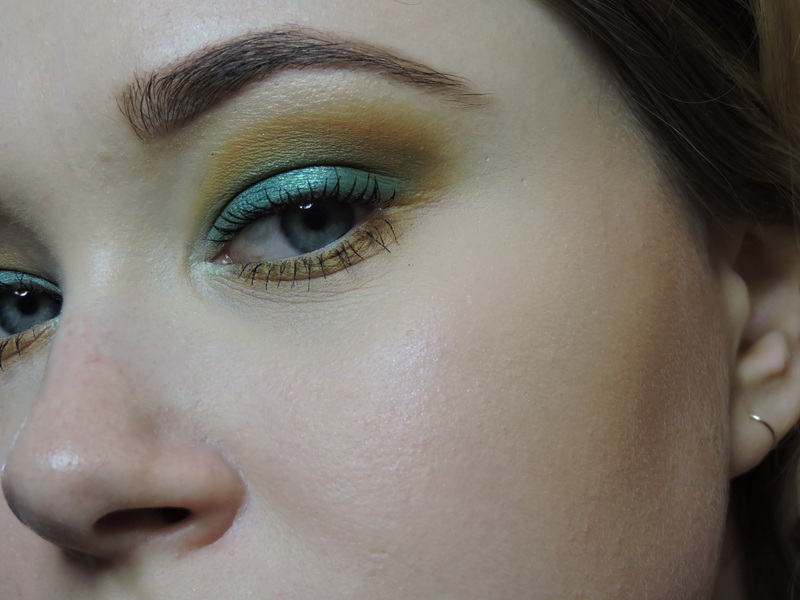 I feel like it has been soooo long since I did a proper beauty related blog post! I was actually meant to upload this AGES AGO.. but I have had other posts scheduled. I also have 2 essays due soon, so just trying to stay on top of it all. I am so excited for this post because I am talking about something I absolutely love and a lot of people seem to love too. I was going to do a Youtube video on it, but I wanted to do it on my blog instead. I would love it if you could check out my Youtube IT WOULD MEAN EVERYTHING TO ME! 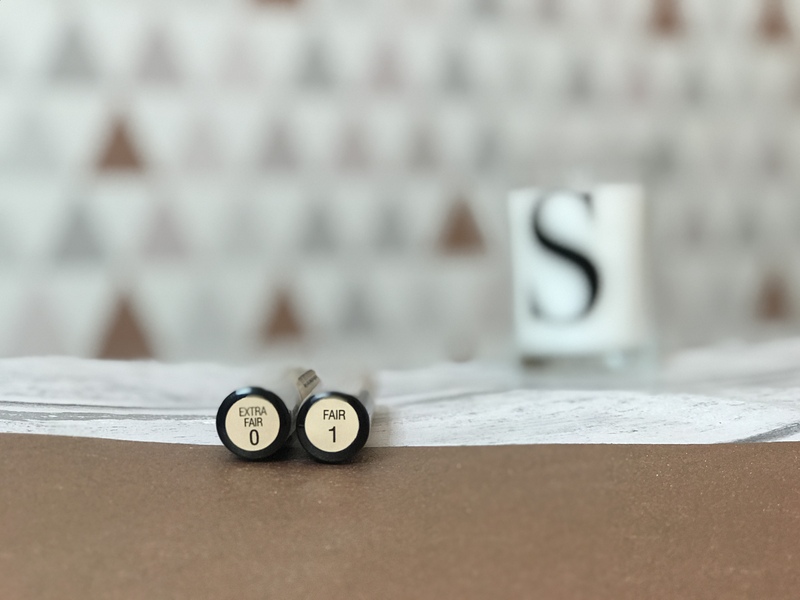 In today’s post I am going to be talking about the NEW (it has been out for about 2 months now, I’m just VERY late to the game) Collection Lasting Perfection Concealer EVERYONE LOVES THIS CONCEALER AND IF YOU HAVEN’T TRIED IT, WE CAN’T BE FRIENDS ANYMORE. Just joking, but honestly if you haven’t tried it. ARE YOU OK?! 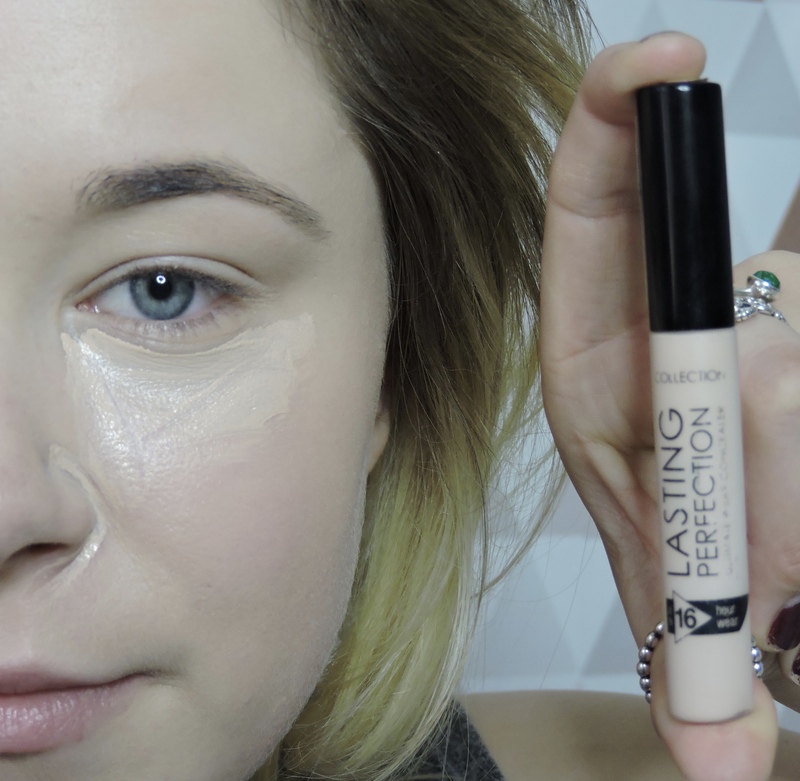 it is such an amazing concealer I normally use the shade Fair 1, but they recently brought out an Extra Fair 0. Firstly, you can already see that the newer shade has more of a yellow undertone and the old shade has more of a pinky undertone. Secondly, the packaging on both bottles of concealer is exactly the same, they haven’t changed the packaging at all. They both have 6.5ml of product inside and have a shelf life of 12 months. They both retail for £4.19 and if you are a student and have a Uni days and a Superdrug card you can see student discount in Superdrug. OH HI. NEW SHADE- EXTRA FAIR 0. 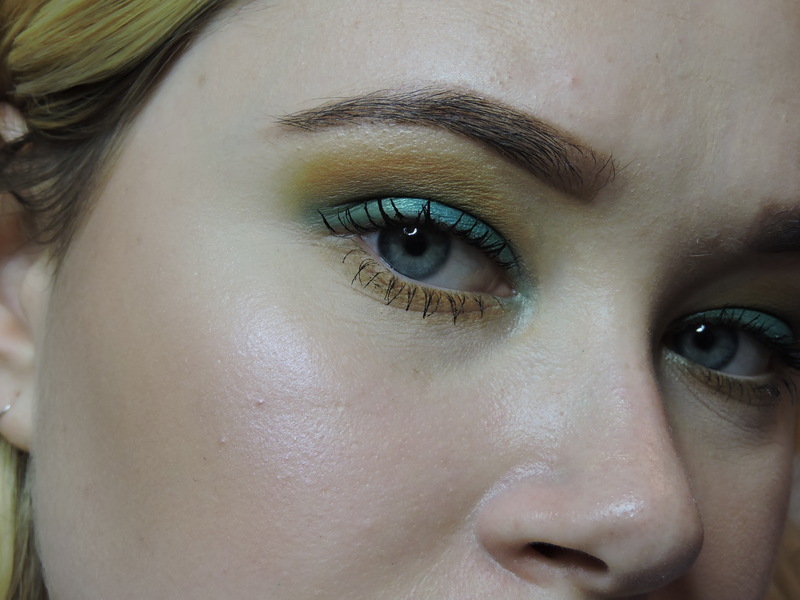 I have applied the new shade to my right side of the face in person, but on here it is the left side. 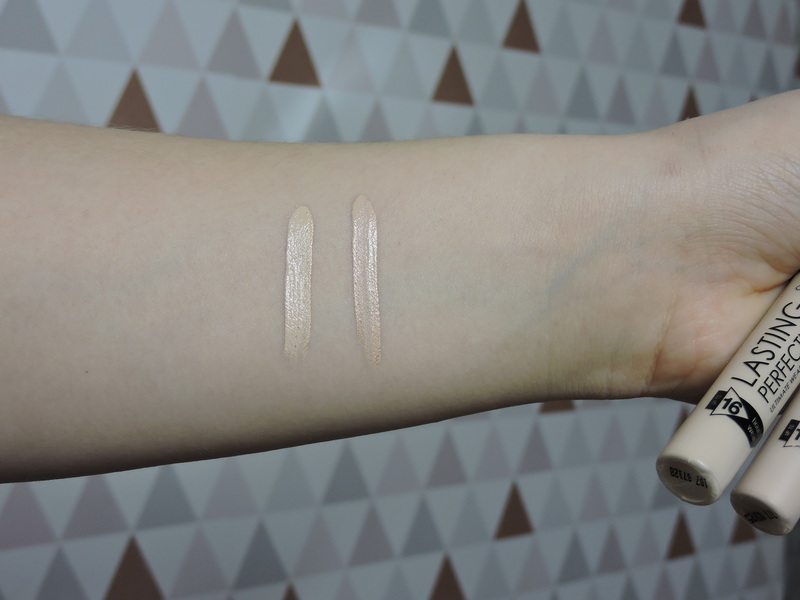 It has the same consistency and is the same formula as the old concealer just is more yellow. This is obviously the old shade, FAIR 1. As you can see, it is more of a pinky undertone which does suit my skin better as I have red tones on my face. This shade doesn’t have the same coverage as the newer shade, this one looks more streaky. AND IT IS BLENDED. This is what my face looks like after both sides have just been blended out. Also, don’t ask me why my right eye looks smaller than my left eye, it might have something to do with the fact that i literally.. LITERALLY.. just woke up to take these pictures. As you can see, they both blended out beautifully and they sort of look the same. They both have the same coverage, I wouldn’t necessarily say that the new shade performs different better the shade Fair 1. OH HI MASCARA ON MY LID THERE -_- YOU JUST CHILLIN OR??? I did the rest of my makeup and went out for a bit then wanted you all to see what it looks like after a couple of hours. So I obviously have very fine lines under my eyes anyway, but I think the concealer looks great under both. I mean, it probably does look a tiny bit lighter on the new shade side but you can’t tell I am wearing two different concealers. I don’t personally think that you can see a difference. I mean I will probably still pick up the new shade when I go to get the concealer, just because it is meant to be the lightest shade. Other than that, I think they are both pretty much similar. They both blended out the same and they both had the same longevity. What do you guys think? can you see a difference? 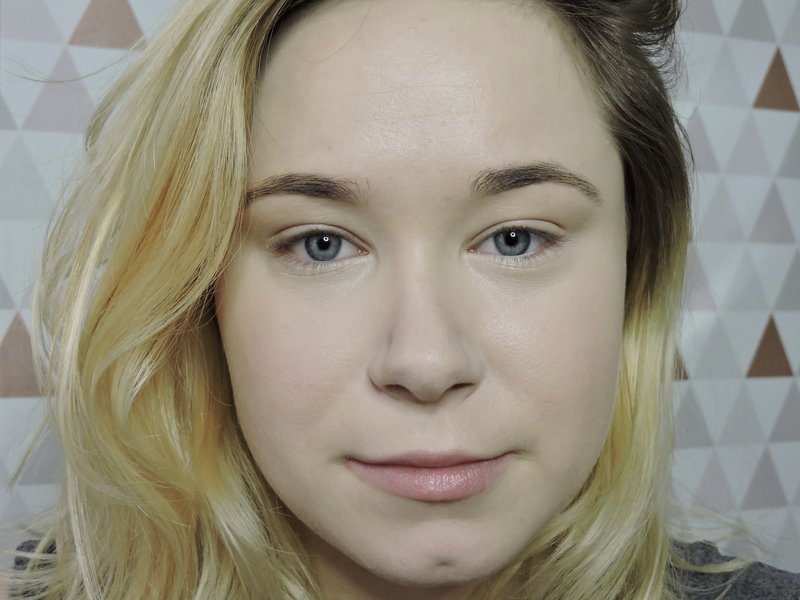 Those concealers blended out wonderfully! Also, your skin is flawless!! They are sooo good! 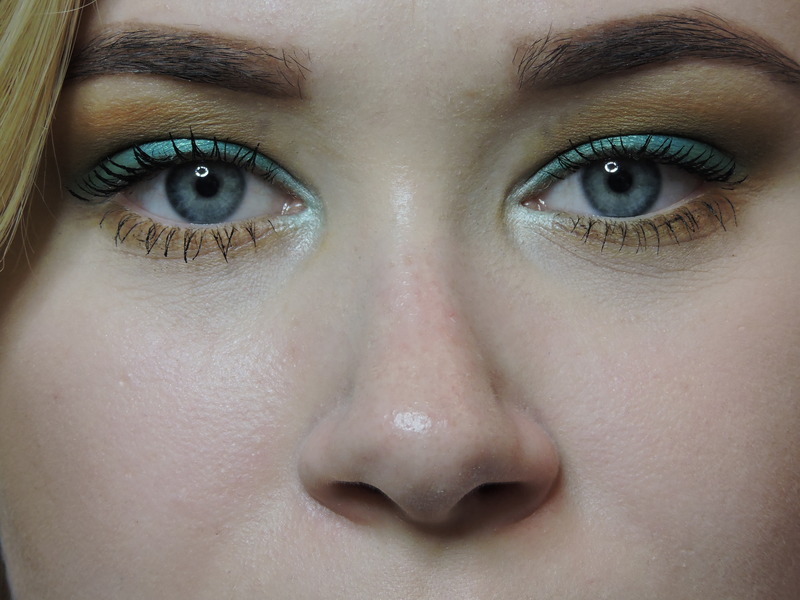 they are quick and easy to blend aswell. I also really like that they don’t dry down too quick, you have enough time to put the concealer on your face, then work around to blend it all out! thank you!!! Yes, go get it girl! I picked up the new lighter shade as soon as it came out as I’m so pale, I do think you can tell a little bit that one side is lighter than the other but if you didn’t know you probably wouldn’t notice! I found that the lighter shade performed better on me as I have more of a neutral/yellow skin tone. Love your eye makeup! What eyeshadow did you use if you don’t mind me asking? I know what you mean, it seems a little streaky. I did expect it to be noticeably more brighter, than the shade Fair 1 though. ah thats rubbish! 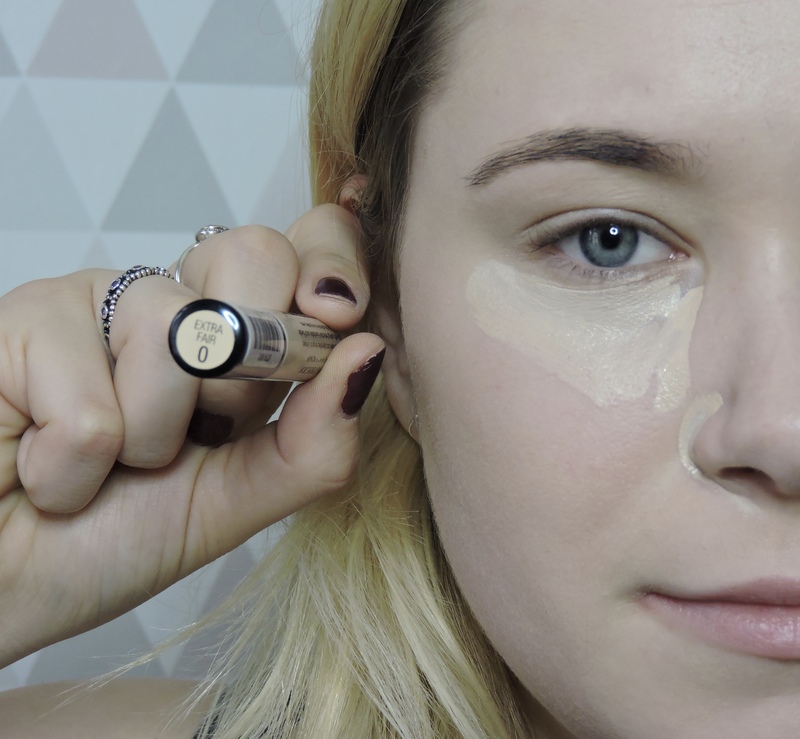 have you been using a new concealer then?